Soft Cover, 352 pages, 8x9. John Holl, an enthusiast who believes that there's a perfect beer for every meal, conducts an exciting tour of delicious food designed to eat with fine craft brews. Thinking beyond standard burgers and nachos, talented brewpub chefs offer pairings such as Pistachio-Crusted Salmon Sandwiches served with a bright hefeweizen, and Curried Pumpkin Chicken Soup paired with -- what else? -- a pumpkin stout. Craft beer never tasted so good. 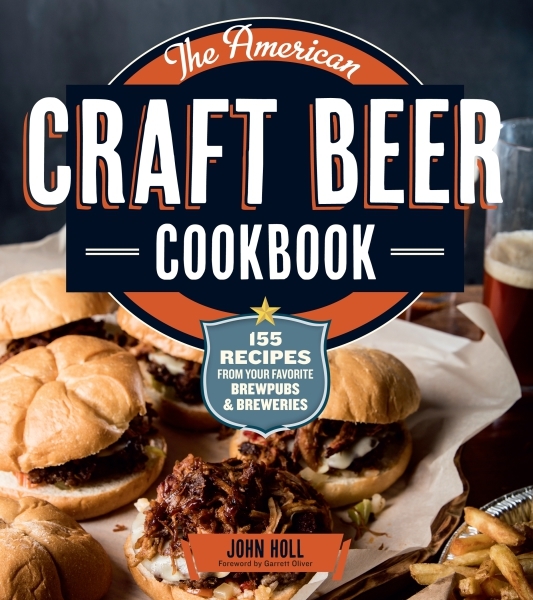 The pleasure of going to the local pub or craft brewery for a pint and a delicious meal can now be recreated at home with John Holl's collection of 155 recipes that all taste amazingly great with beer. From pub grub and barbecue to regional specialties and even breakfast fare, many of these dishes use beer as an ingredient, and all of them can be paired with your favorite brews. 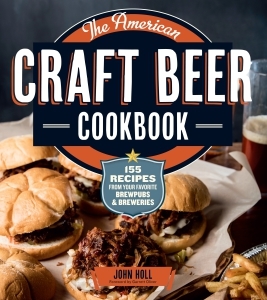 The recipes were contributed by brew pubs, craft brewers, and other beer lovers across the United States, and you'll love the new twists on traditional favorites, such as Slow-Cooked Dopple Bock BBQ Meatballs and American Wheat Beer Steamed Clams, as well as unexpected recipes like Crawfish Bordelaise, Chopped Reuben Salad, Beermosas, Beer Ice Cream Floats, and Chocolate Jefferson Stout Cupcakes.